If you have a vehicle that has reached the end of its working life, regardless of whether or not the car starts, contact our Scrap Car Buyers Manukau now. Not only do we pay up-front for vehicles, but our process is quick and easy and we even offer same day car collection. Simply give us a call, we are available 16 hours a day (7am to 11pm), and we take care of the rest! 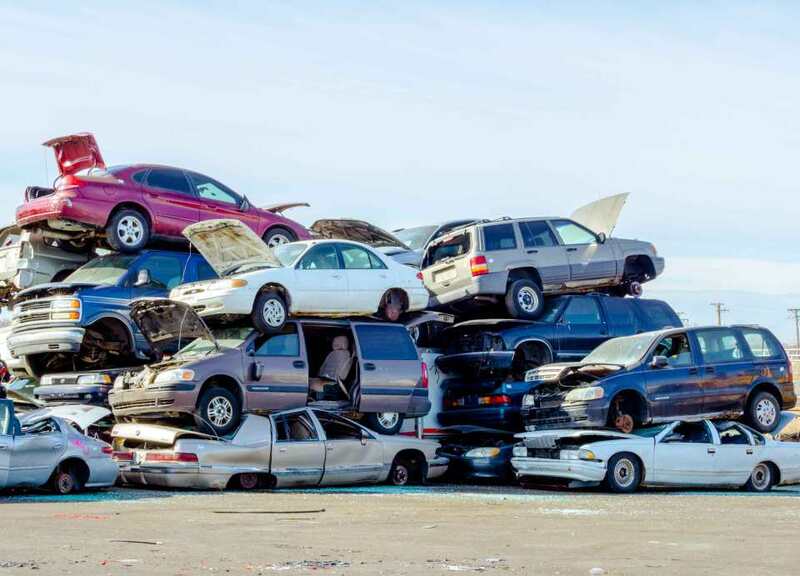 Auckland cars wrecker purchases hundreds of scrap vehicles each week across south Auckland and the surrounding areas, so if you are looking for a quick, easy and cost-effective way of scrapping your vehicle, Scrap Car Buyers Manukau should be your first port of call. Our site features all of the machinery and specialist equipment required for effective vehicle recycling, and we are proud to have been the first de-pollution centre in south Auckland. With our help, you can scrap your car and get the very best price for your vehicle, whilst also feeling confident that it will be recycled carefully to minimize the amount of scrap being sent to landfill. Contact our Scrap Car Buyers Manukau team today to make the arrangements for scrapping your vehicle. We will need the log book of your vehicle, and we’ll help you through NZTA car disposal process for you to save you time. All you will need to do then is send it to the NZTA while – a copy of which we can email or post to your address (on request). To make things even easier, we can pick up your vehicle from its current location, and we provide cash payment on collection or delivery. We know how important it is to scrap your vehicle legally and safely, and we pride ourselves on offering the most environmentally sound vehicle recycling service in Manukau, in line with all relevant legislation. It really couldn’t be easier to scrap your vehicle thanks to Scrap Car Buyers Manukau, so take the first step towards disposing of an unwanted car by getting in touch today. Competitive rates of pay for scrap metal, in-line with current scrap metal prices. The scrapping process is environmentally friendly and in accordance to the environment agency guidelines. As a reputable and well-established company, we are proud to be. Environment Agency registered, proof is available upon request. Approved by Auckland City Council. Highly recommended by users of our service. Our Scrap Car Buyers Manukau team can advise you on things like claiming a refund on your un-used tax mileage. We notify the NZTA of your vehicle being scrapped, giving you one less thing to do. Same day collection of your vehicle. We provide a comprehensive listing of car wreckers, 4WD & commercial wreckers and Truck wreckers in Auckland and surrounding areas. The following are some of car brands we purchase: Citroen wreckers, Holden wreckers, Chrysler wreckers, Mercedes wreckers, Peugeot wreckers, Toyota wreckers, Nissan wreckers, Mitsubishi wreckers, Honda wreckers, Isuzu wreckers, Mazda wreckers, Subaru wreckers, Audi wreckers, Alfaromeo wreckers, Volkswagen wreckers, Ford wreckers, Suzuki wreckers, Skoda wreckers, BMW wreckers. and many more to view the wreckers closest to you. This entry was posted in car removal Auckland suburbs, scrap car and tagged accident car buyers Auckland, Accident car buyers manukau, junk car buyers auckland, Junk Car Buyers Manukau, scrap car buyers, scrap car buyers manukau, Scrap Car Buyers south auckland, Scrap Car Removal, Scrap my car, wreckers buy accident cars on January 16, 2017 by Cars Wrecker.